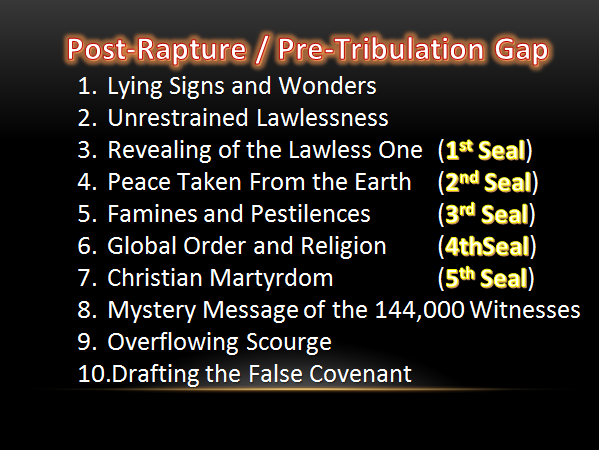 In this Bible prophecy video Bill Salus explains the events that occur during the Post-Rapture / Pre-Tribulation Gap Period. Discover how Israel will call upon the Antichrist to confirm a false covenant between the Jewish State and MYSTERY, BABYLON THE GREAT, THE MOTHER OF HARLOTS AND OF THE ABOMINATIONS OF THE EARTH. 7. The true content of the false covenant of Daniel 9:27 and Isaiah 28:15-18.